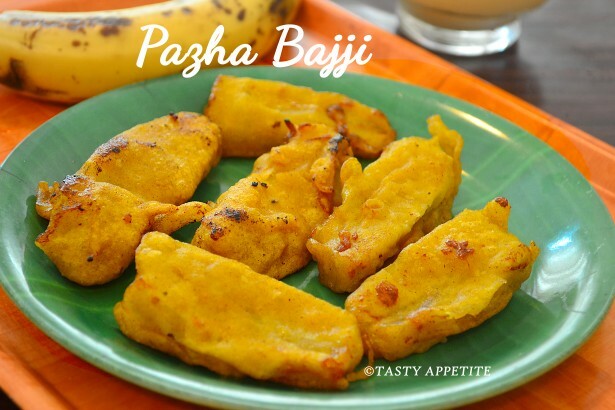 Today’s recipe Pazham Pori is a traditional and tasty dish in Kerala and is very popularly sold in roadside shops along with hot masala chai. 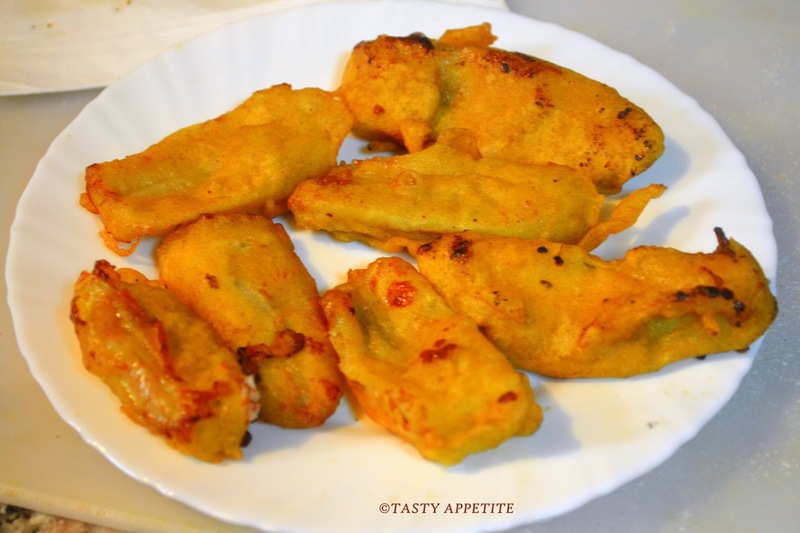 I have tasted this many times, but this is the first time I tried at home as an evening snack. 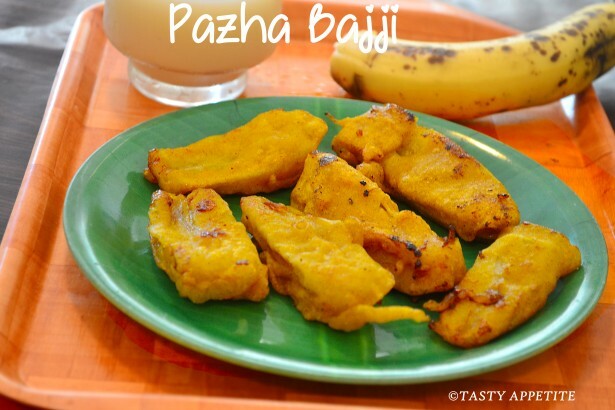 We absolutely loved this sweet dish.Try this Nendram Pazham Bajji simple..recipe and share your experience. 2. Add rice flour, wheat flour, maida flour. 3. To it add salt, sugar, turmeric pwd, kesari pwd and cumin pwd. 5. Add enough water and combine to thick paste as shown in the pic. 6. Now peel the skin of ripe banana and slice it to lengthwise slices. 7. Heat oil in frypan. 8. 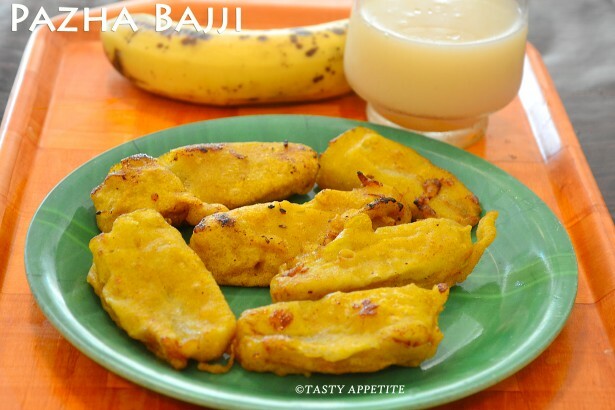 Dip the banana slices in the batter and drop in hot oil. 9. Allow to deep fry in one side for 2 mins. 10. Keep the flame in medium and flip the bajji to the other side. 11. 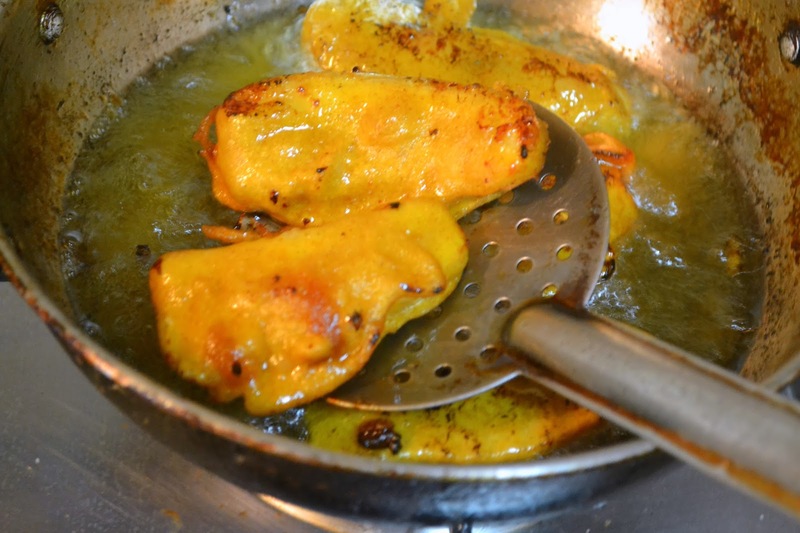 Once it is crispy and golden on both sides, gently strain the fried bajjis using a slotted spatula. 12. Keep it in kitchen tissue to remove the excess oil. 13. 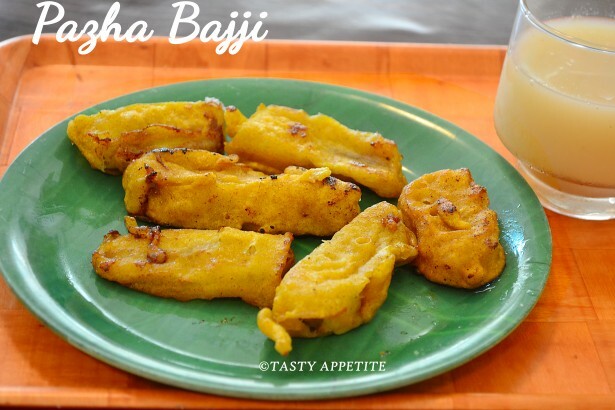 Tongue tickling Pazha Bajji is ready. 14. Serve hot with masala chai. 15. We enjoyed it with chilled guava juice. yummy!never used cumin .will try next time!